Erik was an outstanding ambassador of the breed exhibiting good conformation, size, power speed and agility along with the usual wonderful temperament. He won the Irish Wolfhound Club of NSW Club pointscore for 6 consecutive years and during his showing career went best of breed at Sydney Royal for 4 consecutive years. 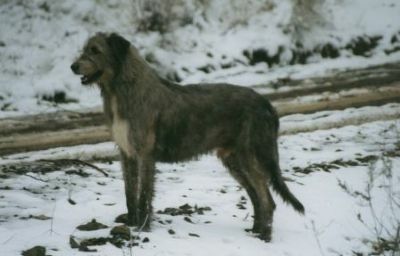 Everyone has a mindset of what their breed should look like and for me, while not perfect, he demonstrated many of the traits I will continue to breed for in an Irish Wolfhound.